Since its founding in 2004, Cindy Chao The Art Jewel has been known for its artistic interpretations as well as the intricate and refined craftsmanship that brings its stunningly realized creations to life. Each 360-degree work of art is created using the delicate craft of 18th century artisan wax moulding, individually sculpting life into each of the brands pieces before setting the gemstones. In expanding her international presence, Masterpiece London serves as a standout artistic setting for the brand to share its Eastern influence and origins, while continuing to explore a Western sensibility. Highlights of Chaos collection include her first feather brooch. Phoenix Feather, set entirely in fancy coloured diamonds, was auctioned at Christies HK for $ 1.12 million. 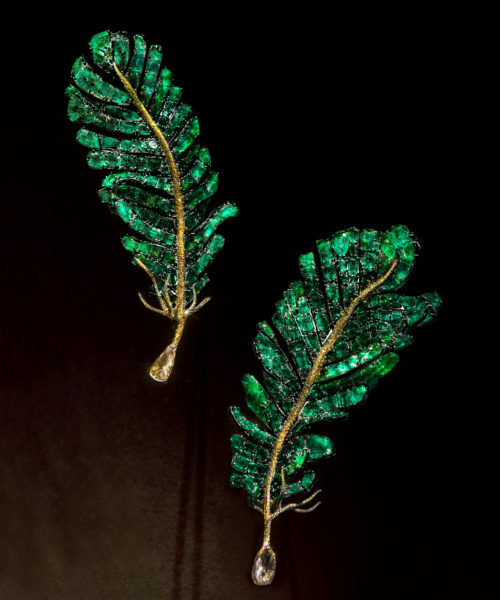 This year, the colours of coastal forest are found in the Emerald Feather brooches. The Emerald Feather brooches are meticulously crafted using a special technic making use of ultra-lightweight titanium in combination with silver. The yellow diamonds on the quill represents light as recorded in the legend while the green emeralds nod to the natural, untouched beauty of Chaos imaginary world. The Floral Bud of life takes center stage in this collection. 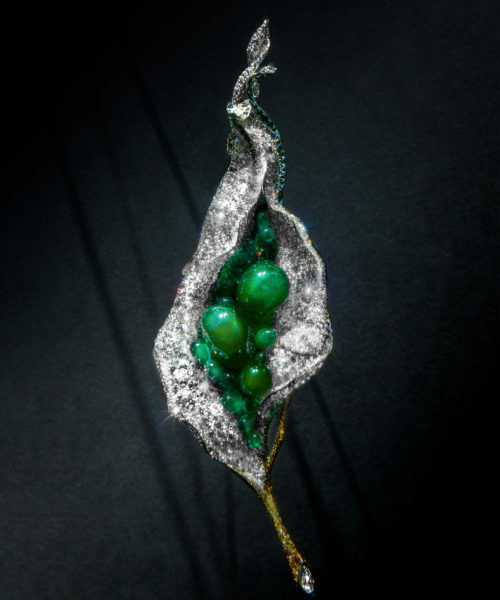 Featuring emeralds in faceted cuts and cabochons that are enclosed in a diamond-drifted titanium floret, this brooch and its depths of different shades of green. 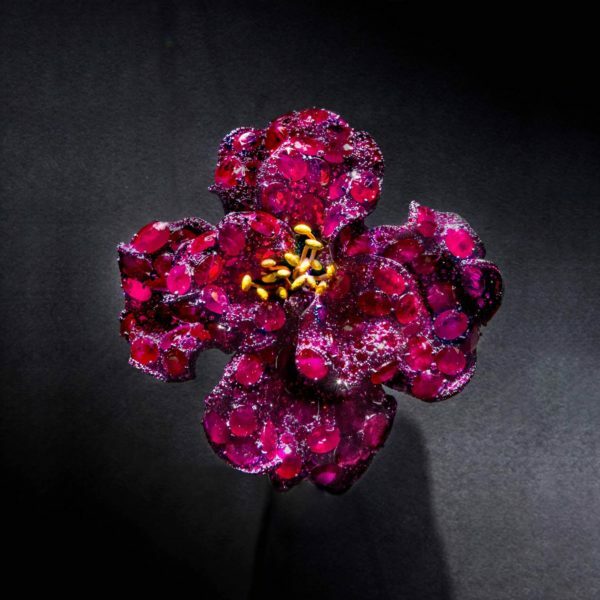 The Peony Brooch, was awarded Outstanding Object award by the Masterpiece Award Committee. Strong as steel, dynamic and boldly beautiful yet simultaneously feminine, charming and ethereal, the brooch is entirely set with rubies on purple-coloured titanium. The vivid red bloom with yellow pistils adds a striking impression hued and kaleidoscopic Nootka Island. The Masterpiece London is on at Royal Hospital Chelsea from 27th June to 4th July and is set to attract prestigious collectors, experts, curators and art lovers from around the world. The post Cindy Chao at Masterpiece London appeared first on JFW MAGAZINE.